Discussions on air pollution are becoming quite prevalent these days. The issue covers climate change, air pollution, respiratory disease and also everyday health and fitness. So for those of us in the environmental sector it is an easy win. We display the need to implement new solutions that combat both climate change and poor air quality whilst also reducing NHS bills and improving citizen’s health. I wanted to help people join some of the dots on the environmental aspects, while telling you what is happening to solve the degradation of air quality in the UK. Here is your pit-stop tour to the air quality challenge. Members can also see our resources library for more facts and information. The EU has an Air Quality Directive which means that member states must cut exposure to particulate matter in the air (Sulphar Dioxide and Nitrogen Oxide – NO2, as well as other micro particles from tyres). The UK missed its targets in 2005, then by 2010, 40 of 43 urban areas exceeded limits of NO2. As time has drifted on, the end of the road is nowhere in sight. Predictions put the UK on track to achieve compliance by 2025, or in London’s case, 2030. So we are nowhere near targets, what happens? Well, an environmental group called Client Earth took the UK Government to the European Supreme Court of Justice and won. The result led to the UK Courts empowered to order the Government to produce a new plan to bring pollution levels down asap. This plan was published in December 2015. Essentially, road transport constitutes 65% of air pollution, with diesel engines being a key contributor. The other smaller contributors are ‘background’ pollution drifting in from the continent, and background pollution from other transport sources. (Think freight trains). So it means that our transport activities are the key contributor to air quality. Air pollution from energy generation has reduced over the years due to a switch in energy mix away from coal, plus developments in technology for chimney stacks. This will also get better as the UK Government among other EU countries are now phasing out coal all together from the energy mix. Interesting to note that Greater London exceeded its hourly EU air pollution limits for the whole of 2016 in just one week in January? What effect does this have on us? In February 2016, the Royal College of Physicians (a Camden Climate Change Alliance member), along with the Royal College of Paediatrics and Child Health released a report that attributes 40,000 deaths a year to air pollution, along with its links to serious diseases that contribute to the increasing bill of the NHS. Diseases such as asthma, diabetes, cancer and obesity. This is significant because the RCP aims to improve care and reduce illness, and are patient centred and clinically led. So they are looking out for all of our health, and are backed by the science of our medical professionals. Take a look, the report is called Every breath we take: The lifelong impact of air pollution. Really! Sounds a big deal, so what’s the plan? In this new plan, it is projected that there are 6 Cities that will not reach the required targets of hourly mean concentrations of NO2, and annual mean concentrations of NO2. Unfortunately for members in the CCCA this includes our dearest Greater London, Camden and the Euston Road. So the Government are to enforce ‘Clean Air Zones’. These zones will incentivise the update of vehicle fleets emissions standards which are of course linked to the standards set by the EU regulations given to the vehicle manufacturers. Local Government have also been working on their plans to improve air quality. If you are interested in Camden’s plan, you can read the consultation here. So what is a Clean Air Zone? Clean Air Zones are areas whereby an emissions standard is set for the vehicles entering the zone, and is enforced using number plate recognition. Legislation will not include private vehicles, but lorries, vans, public transport and taxi’s. Council’s will have power to stretch it to private cars, but there is no Government law on this. By order of the Government, these zones will be implemented in Leeds, Birmingham, Nottingham, Derby and Southampton. In London, it is different, and has been ramped up. We will be moving to an ‘Ultra Low Emissions Zone’ which will involve all vehicles meeting exhaust standards or having to pay a daily charge to travel, and will run in the same parameters as the Congestion charge zone. This is currently being implemented, and should be in place by September 2020. We are also seeing all double decker buses move to hybrid engines, and also single deck buses move to pure electric and hydrogen by 2020. Old Taxi cabs will also be phased out. There are also other strategies that include getting people out of their vehicles entirely and encouraging them onto the bikes and walking (the Government’s Cycling and Walking Investment Strategy published last week). It is no secret that many people just do not feel safe cycling in this city. So with a wave of new cycling infrastructure, the aim is to encourage those who can out of their cars and off the public transport. Which proves winning all round – reducing congestion on roads, in the underground, on the buses, and improving people’s health. Seems logical, right? Interesting, so what are businesses doing? Typically, businesses are finding niches and are finding solutions that are aimed at reducing air pollution, or capitalising on the current situation of congestion. Cycling has boomed, and cycling courier companies are becoming widely used. There are some in and around Camden, if you need a local supplier. Cycle lanes in Camden have drastically improved. A consolidation centre has been setup in Enfield in order to help companies store their deliveries, then ship them ‘Just In Time’ via low emissions/ zero emissions vehicles. 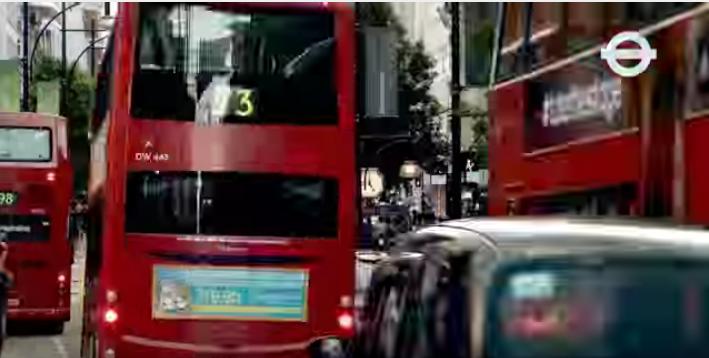 Check out this case study from TFL. The Business Improvement Districts such as the Fitzrovia Partnership have setup an air quality champions group. See how they are tackling the problem in the south of Camden here. Businesses in the area are purchasing air quality filters and looking to invest in green walls. Reducing deliveries to the city is key. Smaller local businesses can collaborate by assessing their collective supply chain, and understand similarities in products purchased. Select the same suppliers will drive down their prices by buying in bulk, plus will reduce delivery vehicles into the area. The CCCA can conduct a supply chain audit for a group of businesses to help with this. Electric cars are now making their move to the forefront of the motor industry. Infrastructure is lagging slightly, however, I am confident that this will change very rapidly in the coming years. Charge times are plummeting, range of cars increasing, and also there is talk of wifi charging lanes on motorways and in cities! There are also incentives still available if you want to be a front runner and change your vehicle fleet. The Council also works in partnership with Kings College have setup air pollution monitoring systems. You can even receive a text when pollution is expected to exceed limits. Particularly useful for those with respiratory problems. So as you can, cities are at the forefront of change, and not only in London, but the whole of the UK. With change comes ample opportunities for those forward thinking businesses to capitalise. I encourage you to understand the issue and see what you can do to help. Please do give us a call if you wish to discuss your challenges.